Vertical beams dance in repeating patterns of wood. Gives a warm lift to your space. 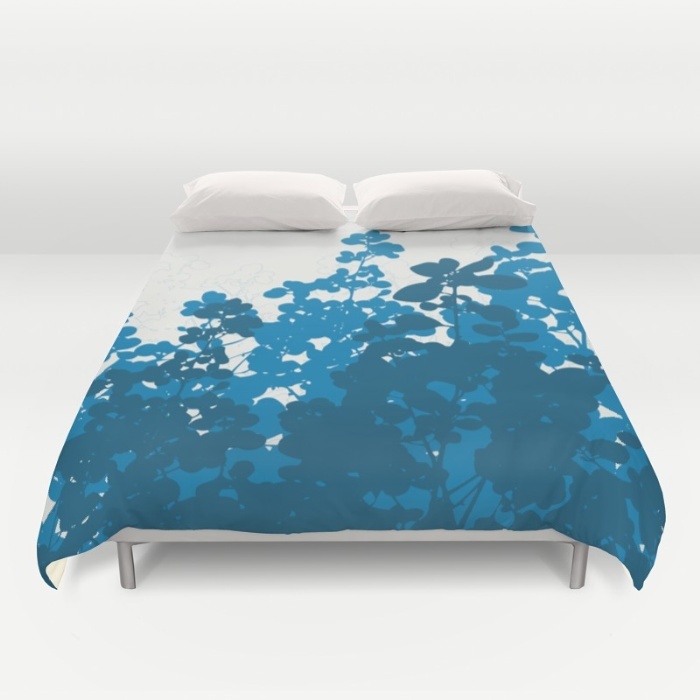 The modern design and warm wood tones of this duvet cover complement any environment. 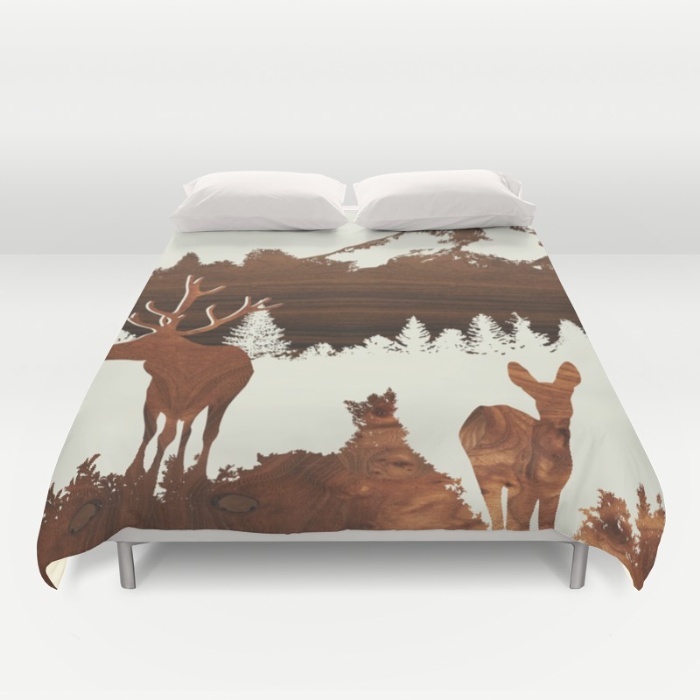 Available for full, queen and king duvets – duvet insert not included. Prices start at $89. 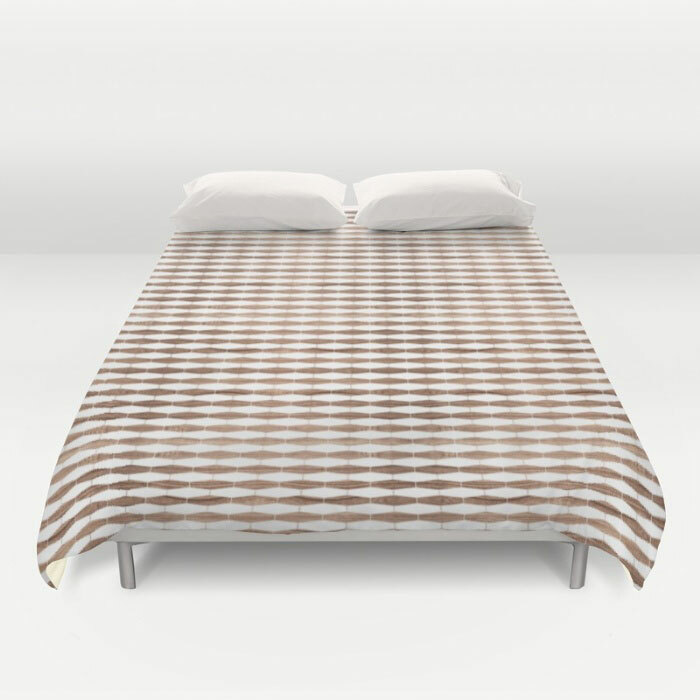 Cover yourself in creativity with our ultra soft microfiber duvet covers in modern tile design of walnut on crisp white background. The warmth of wood embraces a sleek and modern design. Hand sewn and meticulously crafted, these lightweight duvet covers vividly feature designs with a light cream reverse side. A durable and hidden zipper offers simple assembly for easy care – machine washable with cold water on gentle cycle with mild detergent.